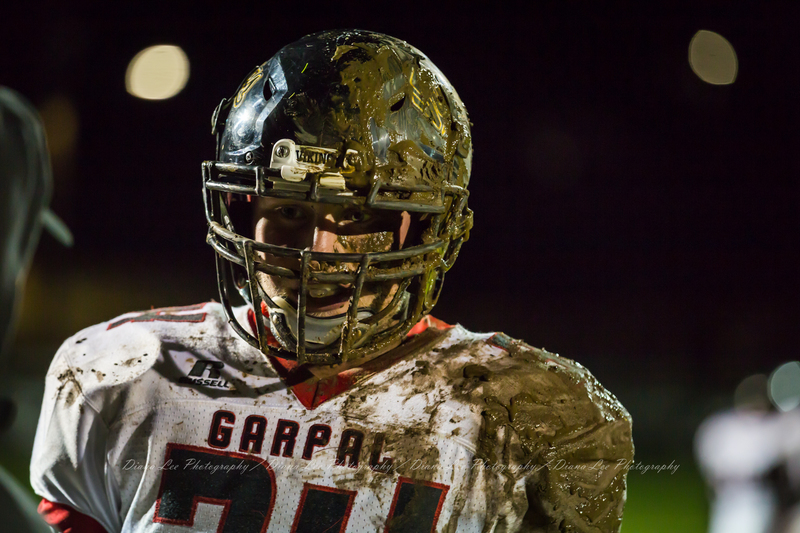 A rainy and muddy Friday night footbal! Taken 11/02/2018, GarPal vs Colton. GarPal win. This is my grandson after a tackle and slide into the mud!